Starting with 6 half-yard cuts, this quilt features 3 fabrics each from 2 colorways. Using the House Ruler by Creative Grids®, cut strip sets into triangles. 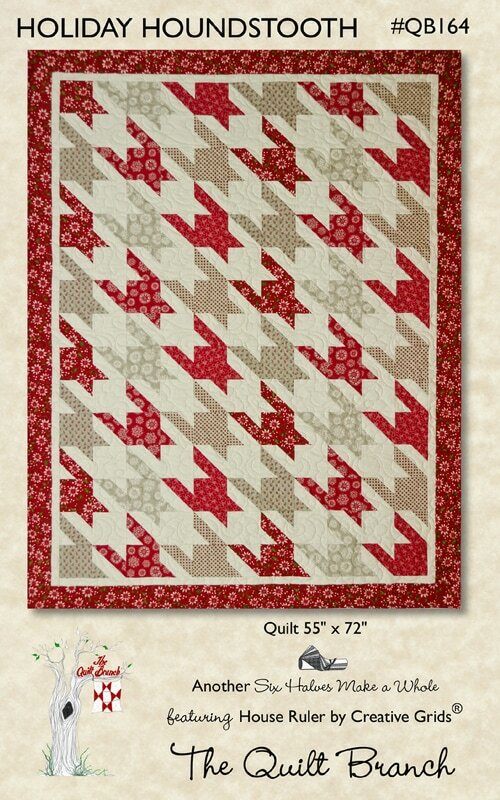 Sew the triangles together and add squares to make this stylish 55" x 72" lap quilt. Pick any 2 colors of fabrics and you will be done in no time.